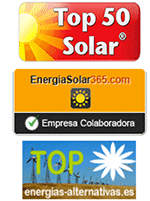 Calculator SHOP-SOLAR arises in order to solve the current information requirements that occur after the onset of the Ministerial Order IET 1045/2014 of 16 June, in the field of photovoltaic production. The Order determines the remuneration that producers receive annually from the National Commission on Competition and Markets (CNMC), it depends on a number of estimates and calculations derived from the Installation Type (IT) assigned. From there, the actual revenue that producers receive, compensation parameters depend on the installation corresponding type and characteristics of the installation itself. The data and estimates, therefore, can not be known in advance without these previous calculations. What data gives me the calculator? The SOLAR-SHOP calculator makes calculations for you and tells you exactly what revenues are going to perceive by the CNMC, according to estimates by the Order. First, it will tell you what type Installation Code belongs to you, without you having to search through the hundreds of pages of the Order. Secondly, it will tell you how many are going to receive from the beginning of your photovoltaic activity until the end of its useful life income. Basically, we do the work for you. Only have to enter the parameters of your PV system and before included to give the equal (=), we will tell you what is below your IT Code. Then, once you press the equal sign (=) to access specific data, we will offer the exact perceive income for years by the Order. We provide revenue data from the beginning of the photovoltaic activity until the end of the useful life thereof; and you separate them for years. In short, you will know how many fixed income receive each year according to estimates by the Ministerial Order. What disaggregated data release me once calculdadora press result (=)? You automatically meet the income provided by the Remuneration investment and expected income for the remuneration to the operation. In addition, we will provide the expenses which the Order finds that'll have every year. You can access data through an orderly and graphics that will facilitate the task. What good is the calculator? To know in advance exactly how much you will receive each year for the production of solar energy without resorting to tedious spreadsheets in Excel handmade only giving approximate values. Lets you take full control of your expenses and profitability achieved by the provision of real and exact figures. Is the data that gives me the calculator are so accurate? Fully accurate! In fact, they are exactly what the Ministry has considered for your PV system. You can see how the performance of the calculation is exactly the set as a reasonable rate of return: the famous 7,398%. Check it out and tell us.